This blog was written by the D4D Program team and is also published on the Asia Foundation’s InAsia blog. 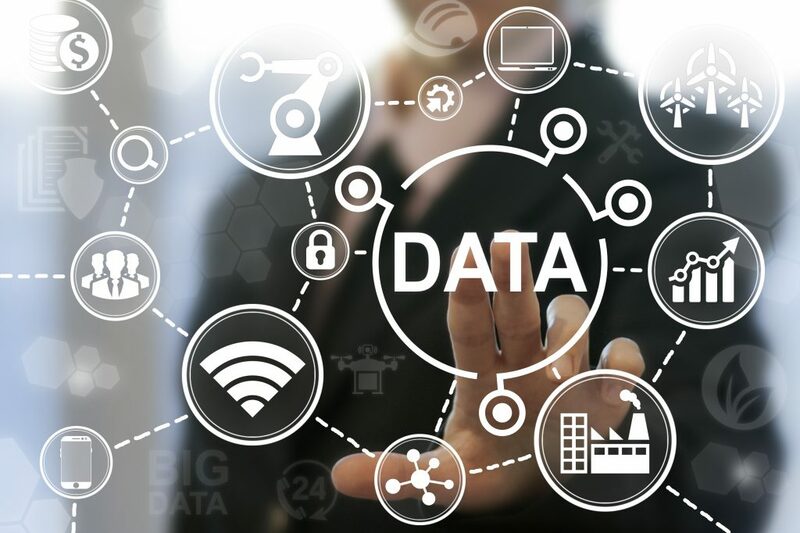 Data has become the oil of the Information Age, and there is now a steadily growing global movement of young people who are passionate about transforming their countries by harnessing the power of data. In Asia, this movement is still small, but it is growing day by day. In Nepal, for example, there is already a large community of civil society organizations and private companies that produce, share, and make use of data for development. At the core of the data-for-development conversation is the critical need for more and better data, especially disaggregated social and demographic data, to make and measure progress towards the Sustainable Development Goals and to understand who is being left behind. Many countries, for example, still don’t collect comprehensive vital statistics, which means millions of births go unregistered, a data deficit that can effectively deny people their rightful citizenship. Census data is often out of date, preventing governments from developing effective policies on issues such as social support services, economic development, or migration. The next round of national censuses, due in 2021, represents an opportunity to close critical data gaps through careful planning, preparation, and partnerships. 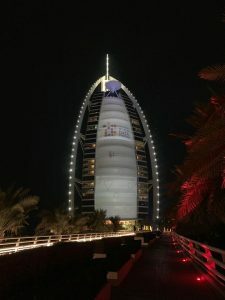 The call for better data was very much at the center of last October’s UN World Data Forum in Dubai, which brought together the world’s leading data and statistics experts with data enthusiasts from several continents. 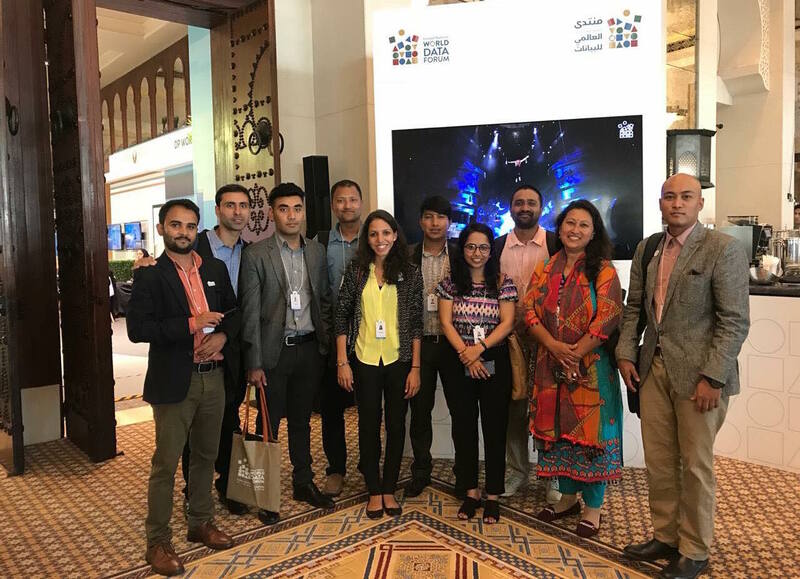 Among the relatively small Asian contingent was a delegation from the Data for Development in Nepal program, an Asia Foundation partnership with the international development organization Development Initiatives. 1. Understand the politics behind national statistical systems. Efforts to build nations’ statistical capacity have traditionally focused on technocrats rather than politicians, yet the latter are the ultimate data policymakers and users. There was general agreement on the need to better understand how politics can influence national data policies, and the incentives to use data for evidence-based policymaking rather than to support political narratives. 2. Gender and migration merit special focus. Women and migrants are uniquely vulnerable groups, yet many official statistics have no disaggregated data on women, and migrants are often simply overlooked. According to UNESCAP, of the 43 countries in the Asia-Pacific region that conducted a census between 2005 and 2014, only 16 have reliable data on international migration. Closing the gaps in the data on women and migrants will allow for better protections and support. 3. Better communicate data to facilitate its use. A lot of data has been collected, but much of it is not being used by governments, citizens, civil society, or the private sector, because they are unaware that it is available, or because the format doesn’t meet their needs. It is important to communicate data in ways that people, especially nonexperts, find compelling, such as visualizations and stories. While the Forum featured few journalists, various speakers emphasized the critical role they play as intermediaries and the need for stronger partnerships between national statistical offices and the media. 4. Alternative data sources have benefits. Government statistics are still fundamental, but data from alternative sources can complement them in important ways. The Forum considered examples such as using geographic information systems to demarcate boundaries and calculate samples for the 2020 round of censuses; using citizen-generated data to track progress on the SDGs in Guatemala, where malaria spray teams used the open-source platform Open Street Map to plan and direct malaria campaigns; and community data systems in Uganda, where community members, independent of any central agency, collect, record, and maintain their own data sets covering everything from household size and income, to local trade and commerce, to water and sanitation. 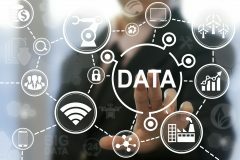 The promise of big data in humanitarian efforts—for example, the telecommunications data used to locate people after the Nepal earthquake—was also mentioned, as was the potential of AI, underscored by Minister of State for AI Omar Sultan Olama of the United Arab Emirates, official host of the Forum. Many speakers highlighted the importance of public-private partnerships in the production and use of alternative data sources. In pilot projects in Ghana and Nepal, for example, citizens and civil society groups are collecting and mapping solid-waste management data that can be used by governments to track progress on the SDGs or to improve solid-waste services. 5. Privacy, data security, and data ethics are key concerns.Episodes like the Cambridge Analytica scandal have contributed to growing public concern about data privacy and security. In May, the EU adopted the General Data Protection Regulation, forcing companies to adhere to strict rules when handling private data. Various countries in Asia have followed suit, adopting their own data-privacy rules. Rising popular mistrust of data in general has blurred the distinctions between anonymous government statistics, open data, and often-intrusive big data. More efforts are needed to educate the public that not all data contains personal information or invades privacy. 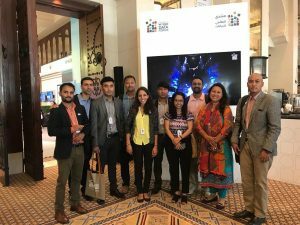 The Forum was an important opportunity for the Data for Development in Nepal program and selected members of Nepal’s open-data community to consider the latest thinking. 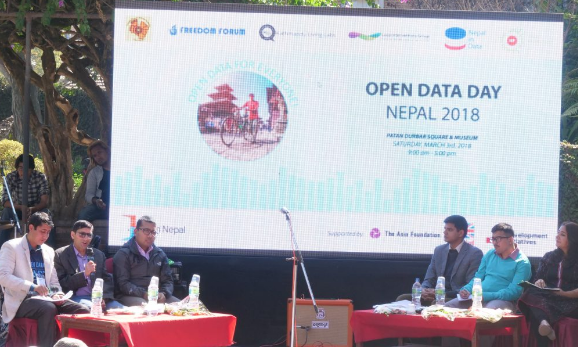 While various Asian governments have established open-data platforms, and communities of practice such as Open Nepal are promoting open data, there is still enormous, untapped potential for data in open formats to spur economic growth, foster innovation, and improve human development across the region. The Forum heard strong calls for more South-South cooperation among national statistics offices, nongovernment data producers, and intermediaries. Nepal, with its vibrant local data community, would be a perfect candidate to share its best practices and lessons learned at the next Forum. With the next World Data Forum planned for 2020 in Bern, Switzerland, perhaps the most important recommendation from the Forum in Dubai is the need for more Asian voices. The Data for Development in Nepal program works to improve the sharing and use of data in open formats to support development. The program is implemented by The Asia Foundation in partnership with Development Initiatives, with funding from the UK’s Department for International Development. The seven participating organizations from Nepal are Bikas Udhyami, Clean Up Nepal, the Foundation for Development Management, Kathmandu Living Labs, Open Knowledge Nepal, Young Innovations, and YUWA.